Moab is a popular tourist destination nestled in southeast Utah about four hours from Salt Lake City and five hours from Denver. Around Moab is an outdoors person playground. We have the world class Arches and Canyonlands National Parks, Dead Horse Point State Park, much BLM land, and even National Forest Land surrounding the town. And there are ample opportunities for hiking, backpacking, climbing, biking, and water sports. And in the winter, even a bit of skiing! This article distills much information into a concise format. Be sure to check out Discover Moab for more detailed info. President’s Day Weekend through Memorial Day Weekend is the traditional high season in Moab. The license plates turn Colorado green, and you can’t make left-hand turns on Main Street. Both sure signs Spring is here in Moab. 🙂 Easter Week is Jeep Safari Week and will be esp busy as an FYI. The hotels, campgrounds, and similar will be full and the places will be a bit hectic. After Memorial Day and through the Summer, the temps become much too hot for most people to enjoy outdoor activities. Though that does not stop people from coming! The numbers do drop off, however. The nearby La Sal mountains have cooler temps, naturally. From about mid-September until Thanksgiving, Moab has a bump in visitation that is not as busy as Spring. And from around Thanksgiving until President’s Day Weekend, the Winter in Moab is a slow time. The temps can dip into the single digits, but typically in the twenties. Other than Christmas Week, Moab turns into a locals town. You might need traction devices to hike. Snowshoeing and both Nordic and Backcountry skiing are excellent up in the La Sal mountains. Need some gear info? I wrote some thoughts on gear considerations for Utah hiking, with hiking, backpacking, and camping focused, on the Colorado Plateau area. If you drive from Denver or Salt Lake City (SLC), Moab is thirty miles from I70. Taking the River Road (SH 128) makes for a slightly longer route, but the road is considered one of the more scenic drives in the country. In addition to the SLC or Denver airports, Moab itself has the small Canyonlands Airport where you can pick up a rental car. Flights come in daily from Denver. Durango, CO, and Grand Junction, CO have good sized regional airports about two hours away with car rentals available. Prefer not to use a car rental? The Red Rock Express offers shuttles to Moab from both Durango and Grand Junction. Once in Moab, many private shuttles and taxis exist to get from the Canyonlands Airport or the town itself and to your hotel or even a trailhead. I’ve personally used Moab Trail Taxi when I had work done on my car and found the owner to charge reasonable prices. Lyft and Uber service is currently sporadic concerning availability. If your tastes run more to day use activities with a hot shower and a bed at night, Moab has many lodging options. The Lazy Lizard is a hostel selection that offers shower and laundry, too. Air BnB and VRBO are always possibilities. If you need a shower and laundry after camping, the previously mentioned Lazy Lizard Hostel offers these services. Coin-op laundries exist in town, and the Moab Aquatic and Fitness Center offers showers, too. I do not go out to eat much, but as you can imagine in a tourist town, there are quite a few restaurants, coffee shops, and lunch spots. When I do go out to eat it is usually with friends. The Moab Brewery is a safe “pub grub” bet that is family friendly. For lunch or breakfast, the cafeteria-style Gilberto’s makes Mexican food reasonable in price. In season, Moab features a food truck park, too. Finally, the Love Muffin Cafe is a perennial favorite. First place for info: I suggest the Moab Information Center as an excellent initial first stop. Maps, brochures, and books are available there. And the friendly staff is sure to provide answers to questions you might have about Moab. Are you looking for groceries? Moab offers three popular grocery options. City Market and Village Market are traditional grocery stores. Moonflower is a small co-op health-food type store. Be sure to bring some shopping bags. Moab currently bans plastic bags. Adult beverages? Utah’s liquor laws are stringent. Grocery stores and gas stations currently sell 3.2 ABV beer only. There is one state-run DABC liquor store for full-strength beer, wine, and hard liquor. Beer is sold by the individual can or bottle at room temp and heavily taxed. Selection is limited. Closed on Sundays. Outdoor supplies? Moab Gear Trader (where I worked over the holidays) and Gear Heads are general outdoor stores if you need items such as maps, fuel, repair kits, or other items. Moab Gear Trader has an excellent selection of used gear and consigned brand name clothing. Gear Heads offers free filtered water for your water containers. Very key when the weather gets warmer! Walker Drug also provides some basic outdoor clothing and supplies. If you need a mountain bike, water sports, 4X4, or climbing specific store, many options to choose from. Gear rental available at different stores for different activities. If you need to fill propane, Farm and City Feed and RV Supply (the main part of town) and the Shell Gas Station (south end of town) both have propane refills. With two national parks, a state park, and many other public lands, outdoor activities abound in Moab. Far too many for me to list in one article! 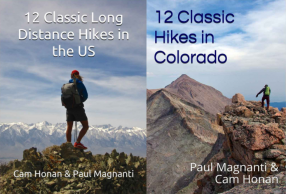 Hiking – Lots of hiking opportunities in the area. 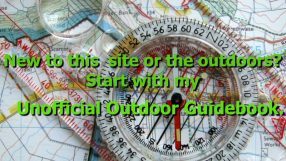 The Hiking Project is an excellent place to start with some ideas for all levels of day hiking. 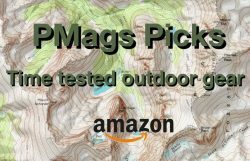 Backpacking – Backpacker Magazine has some ideas as well as Roots Rated. Climbing is another favorite outdoor activity in the Moab area. The Mountain Project lists some great info about area climbs. Trail running opportunities present itself all over Moab. Check out the Trail Running Project. Off-road fun is accessible in the old jeep roads surrounding Moab. Mountain biking is arguably the most famous activity in Moab next to off-roading. The Mountain Bike Project website lists some ideas to get you started. Be sure to check Moab Trail Mix for trail conditions! The Colorado and Green Rivers provide ample opportunities for pack rafting and other water-based activities. In the winter, Nordic and Backcountry Skiing, in addition to snowmobiling and snowshoeing, provide winter fun with some groomed areas up in the La Sal Mountains. For the kids, or kids at heart, there are two sled hills near the main backcountry trailhead near Geyser Basin. Be very careful of avalanche conditions! Speaking of sledding, you might pursue the option of sand sledding, too! Moab has some gyms and yoga studios. Be sure to check out the Moab Fitness and Aquatic Center if you want to get some swimming in during your stay. Complete with water slides for the kids! The Grand Country Library (Moab) is an excellent resource with great staff. Still want to pursue a literary bent? The Back of Beyond Book Store sells contemporary and vintage books with a southwest focus. The Moab Arts and Recreation Center offers various talks, lectures, and other events. Into local history? Check out the Moab Museum. And if you are a movie buff, the Moab Museum of Film and Western Heritage at Red Cliffs Lodge is sure to be interesting. Moab Giants will interest any dino enthusiast of all ages. Slickrock Cinema 3 provides three-screens for your movie enjoyment. Moab, UT is my new adopted home with lots of outdoor fun. I hope this guide assists you in enjoying all Moab has to offer! This article just scratches the surface of what to do in Moab, if in a concise form. Again, check out Discover Moab for in-depth information.